Chuang Hua finished Crossings in 1968––a time of rampant social and artistic experimentation. 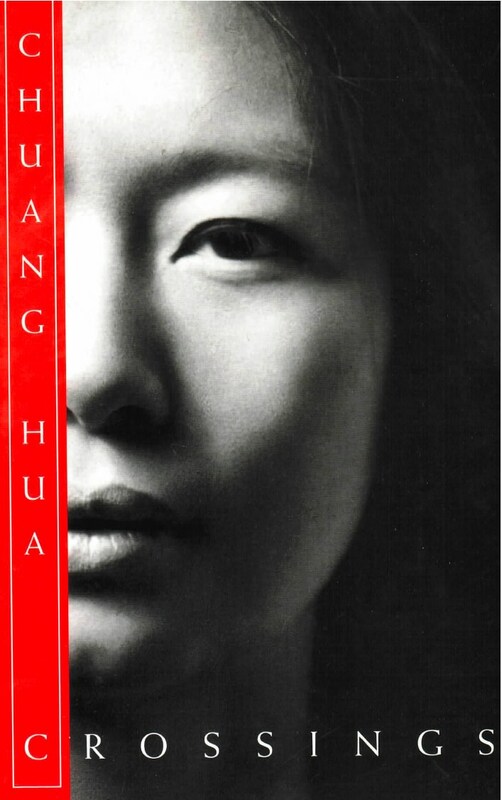 She played with style and language to tell the modernistic story of Chinese becoming Western. A fascinating read. A powerful story of one woman’s displacement between cultures and traditions – a landmark in Asian-American literature. When it was first published in America in 1968, Chuang Hua’s evocative novel Crossings was completely unheralded and quickly went out of print. Years later it would be widely recognized as the first modernist novel to address the Asian-American experience, its deeply imagistic prose–marked by spatial and temporal leaps, an unconventional syntax, and unanticipated shifts in plot–as haunting as the writing of Jane Bowles. At the center of Crossings is Fourth Jane, the fourth of seven children whose recollections of an oppressive yet loving father, Dyadya, are collaged with her constant migrations between four continents. Suffering from a domestic torpor occasionally enlivened by ritualistic preparations of food for her foreign lover, Jane’s displacement only heightens the remembrance of what she has fled: a breech of the familial code; a failed romance; and further in the past, the desolation of war as “bloated corpses flowed in the current of the yellow river.” Spare, lyrical, Taoist in form and elusiveness, visually cinematic, tender and sensual, Chuang Hua’s powerful narrative endures as one of the most moving and original works of literature in the history of American letters.